European nopCommerce Hosting - UK :: How to Recover Your Administrator Password in nopCommerce? In this tutorial, we will talk about how to recover administrator password in nopcommerce. Once you have installed nopCommerce, you suddenly deleted administrator account by mistake. So, how do you recover the administrator account? will need to check the "Customer" table to get the correct id for the specific account (or record). b. All the account records if deleted, never gets permanently deleted from the database. Only the value of column "Delete" change from "False" to "True" if you delete any account. In the sql script, we are simply changing the value back from "True" to "False". 3. How to recover the account if you do not have the "id"? France European SQL 2008 R2 Hosting - HostForLIFE.eu :: How to Change SMTP servers on Database Mail with SQL Server?? The database I inheritable when I started my current job sends out a lot of mails. It does therefore using database Mail with SQL Server, and it's a lot of mail accounts and mail profiles outlined. I do know that many of these profiles are used, i think that some aren't, and that I haven't any plan concerning the rest – in the future I'll notice the time to clean up, however to this point there have always been a lot of pressing matters to attend to. But nowadays the mail administrator told me that thanks to a modification in design, SQL Server had to start using a completely different SMTP server for sending mails. Quite easy task if you've got just a single profile. Just a couple of clicks within the database Mail Configuration Wizard, and done. But continuation those self same mouse-clicks for each profile within the list wasn't my plan of a morning well spent, therefore I made a decision that I’d got to script this. (This ought to be easy – we've just a single SMTP server, therefore I may hit each single mail account and did not get to trouble with exceptions). Usually, scripts for such a task are terribly easy. You just type a felicitous search string in your favorite Search Engine, check the primary 2 or 3 hits, and you’ll have a script. Sometimes even over one. Carefully inspect the script,copy the script, paste into SSMS, build adjustments for your own scenario, do a new review simply to take care. Bottom line, I did not notice a pre-made script for this task, therefore I put in the effort to put in writing one, so determined to share it with you. Note that the script below was tested on SQL Server 2008R2 only. also note that it'll update all mail accounts to use the new SMTP server. If you've got a a lot of complicated setup with multiple servers and just some got to change, you may got to add the correct filtering criteria to the wherever clause. I hope it will works for you! European Crystal Report 2013 Hosting - HostForLIFE.eu :: How to Display Records from Database using Crystal Report Viewer? In this tutorial, I will tell you how to display records from your database using Crystal Report 2013 Hosting. Crystal Report 2013 is an integrated development environment you'll be able to use to form applications and libraries with many alternative frameworks and languages. it's a rich feature set together with an intelligent editor, built in compiler (and related tools) and context sensitive facilitate. SAP Crystal Reports 2013 (Crystal Reports) is intended to figure along with your database to assist you analyze and interpret vital data. Crystal Reports makes it straightforward to form simple reports, and, it conjointly has the great tools you would like to provide advanced or specialized reports. Crystal Reports will facilitate a company build sensible business selections. It will provide you with a warning to areas of a business's operations that aren't performing on all cylinders, or means areas that are a model for excellence. Reports will permit staff to target the business info instead of the production of data. Application and net developers will save time and meet their users wants by integrating the report process power of Crystal Reports into their info applications. In this tutorial we will see how to add a column of checkboxes and how to determine what checkboxes were checked on postback. In particular, we ll build an example that closely mimics the web-based email client user interface. Our example will include a paged GridView listing the products in the Products database table with a checkbox in each row (see Figure 1). A Delete Selected Products button, when clicked, will delete those products selected. Before we worry about adding a column of checkboxes, let s first focus on listing the products in a GridView that supports paging. Start by opening the CheckBoxField.aspx page in the EnhancedGridView folder and drag a GridView from the Toolbox onto the Designer, setting its ID to Products. Next, choose to bind the GridView to a new ObjectDataSource named ProductsDataSource. 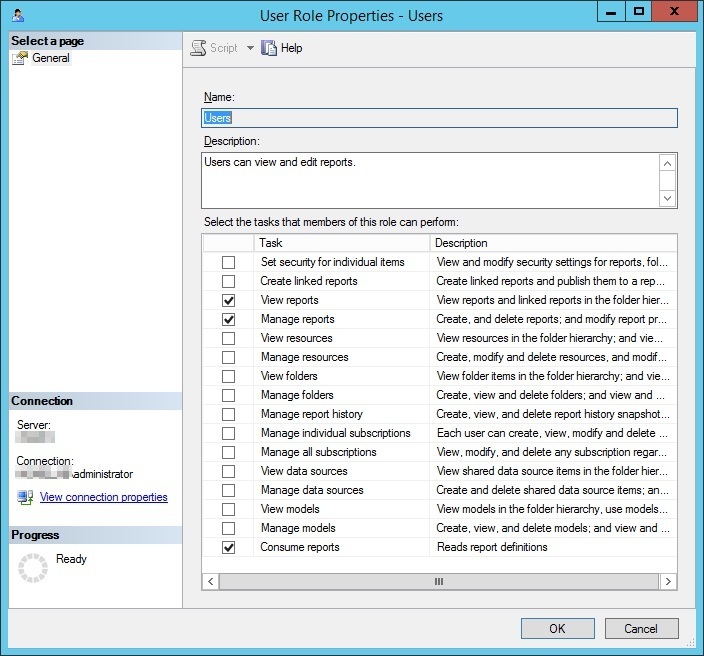 Configure the ObjectDataSource to use the ProductsBLL class, calling the GetProducts() method to return the data. Since this GridView will be read-only, set the drop-down lists in the UPDATE, INSERT, and DELETE tabs to (None) . After completing the Configure Data Source wizard, Visual Studio will automatically create BoundColumns and a CheckBoxColumn for the product-related data fields. Like we did in the previous tutorial, remove all but the ProductName, CategoryName, and UnitPrice BoundFields, and change the HeaderText properties to Product , Category , and Price . Configure the UnitPrice BoundField so that its value is formatted as a currency. Also configure the GridView to support paging by checking the Enable Paging checkbox from the smart tag. Let s also add the user interface for deleting the selected products. Add a Button Web control beneath the GridView, setting its ID to DeleteSelectedProducts and its Text property to Delete Selected Products . Rather than actually deleting products from the database, for this example we ll just display a message stating the products that would have been deleted. To accommodate this, add a Label Web control beneath the Button. Set its ID to DeleteResults, clear out its Text property, and set its Visible and EnableViewState properties to false. Take a moment to view the page in a browser (see Figure 5). At this point you should see the name, category, and price of the first ten products. 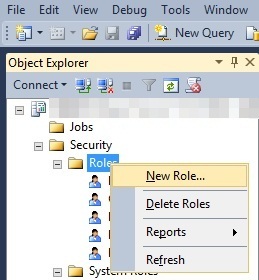 Since ASP.NET 2.0 includes a CheckBoxField, one might think that it could be used to add a column of checkboxes to a GridView. Unfortunately, that is not the case, as the CheckBoxField is designed to work with a Boolean data field. That is, in order to use the CheckBoxField we must specify the underlying data field whose value is consulted to determine whether the rendered checkbox is checked. We cannot use the CheckBoxField to just include a column of unchecked checkboxes. Instead, we must add a TemplateField and add a CheckBox Web control to its ItemTemplate. Go ahead and add a TemplateField to the Products GridView and make it the first (far-left) field. From the GridView s smart tag, click on the Edit Templates link and then drag a CheckBox Web control from the Toolbox into the ItemTemplate. Set this CheckBox s ID property to ProductSelector. With the TemplateField and CheckBox Web control added, each row now includes a checkbox. Figure 7 shows this page, when viewed through a browser, after the TemplateField and CheckBox have been added. At this point we have a column of checkboxes but no way to determine what checkboxes were checked on postback. When the Delete Selected Products button is clicked, though, we need to know what checkboxes were checked in order to delete those products.The GridView s Rows property provides access to the data rows in the GridView. We can iterate through these rows, programmatically access the CheckBox control, and then consult its Checked property to determine whether the CheckBox has been selected. The Rows property returns a collection of GridViewRow instances that makeup the GridView s data rows. The foreach loop here enumerates this collection. For each GridViewRow object, the row s CheckBox is programmatically accessed using row.FindControl("controlID"). 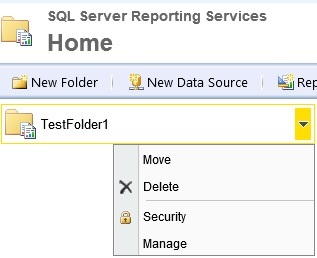 If the CheckBox is checked, the row s corresponding ProductID value is retrieved from the DataKeys collection. In this exercise, we simply display an informative message in the DeleteResults Label, although in a working application we d instead make a call to the ProductsBLL class s DeleteProduct(productID) method. With the addition of this event handler, clicking the Delete Selected Products button now displays the ProductIDs of the selected products. If a user wants to delete all products on the current page, they must check each of the ten checkboxes. We can help expedite this process by adding a Check All button that, when clicked, selects all of the checkboxes in the grid. An Uncheck All button would be equally helpful. Add two Button Web controls to the page, placing them above the GridView. Set the first one s ID to CheckAll and its Text property to Check All ; set the second one s ID to UncheckAll and its Text property to Uncheck All . Next, create a method in the code-behind class named ToggleCheckState(checkState) that, when invoked, enumerates the Products GridView s Rows collection and sets each CheckBox s Checked property to the value of the passed in checkState parameter. Next, create Click event handlers for the CheckAll and UncheckAll buttons. In CheckAll s event handler, simply call ToggleCheckState(true); in UncheckAll, call ToggleCheckState(false). With this code, clicking the Check All button causes a postback and checks all of the checkboxes in the GridView. Likewise, clicking Uncheck All unselects all checkboxes. Figure 9 shows the screen after the Check All button has been checked. Note: When displaying a column of checkboxes, one approach for selecting or unselecting all of the checkboxes is through a checkbox in the header row. Moreover, the current Check All / Uncheck All implementation requires a postback. The checkboxes can be checked or unchecked, however, entirely through client-side script, thereby providing a snappier user experience. You need to terminate every of the sessions came back one by one by using KILL command. If there are sizable amount of sessions to kill, otherwise you got to try this on a routine basis it gets boring to do it this manner. you'll be able to *automate* this using below script, that takes database name as input, and kills all sessions connecting to that.